Find your estate planning documents – If you have estate planning documents, go find them. They are probably tucked away in a special hiding place or in a safe-deposit box at the bank. Take the time to make sure they are still there. It will also give you an opportunity to review them to make sure things will be handled exactly as you want them handled when you pass. 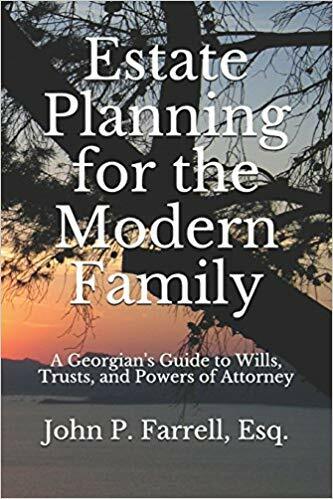 You’ve moved to Georgia from another state – If you’ve moved to Georgia from another state, it’s important to have your estate planning documents reviewed to ensure they comply with Georgia law. Review who you’ve designated as beneficiaries – do you need to add or subtract a beneficiary? Perhaps you’ve named someone as a beneficiary that you no longer speak with or perhaps no longer have a business relationship with. Perhaps a child has special needs that have not been addressed in your will or trust. Review your powers of attorney – it is important to review these documents to ensure your agent is someone you still trust to handle your financial and health issues. Review the changes in your life – now is the perfect time update your estate planning documents if you’ve had a significant change in your life within the last year. Perhaps you’ve increased your income or had another major financial event. Perhaps you got married or had a child or had a death in the family. All of these, among others, are reasons to update your estate planning documents. These are just a few of the reasons to review and update your estate planning documents as the New Year is upon us. Meeting with a knowledgeable Marietta Estate Planning Lawyer can help you uncover the best, fastest, most efficient and least costly way you can provide for your family and gain peace of mind which comes with having your affairs in order. If you would like to have your plan set up the right way, the first time, call us at (678) 809-4922.